Handcrafted Wooden Watch made with Zebrawood and Ebony. 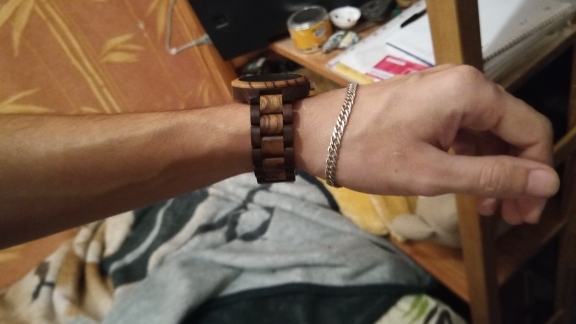 Unique design natural wood watch. Unisex watch. Any engraving on back side and gift box. This watch is just beautiful! And the bracelets we’re not expected, but a nice gift! Great looking watch with helpful accessories. Love it.